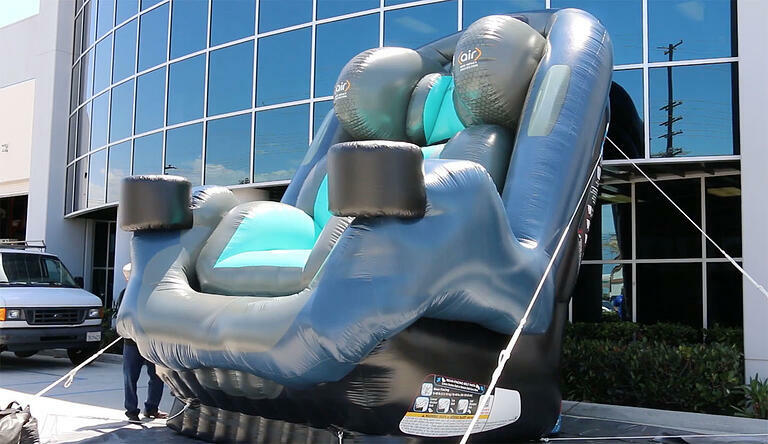 20 Foot Inflatable Car Seat Replica. Safety should always come first. A massive inflatable replica like the one you see here is the result of many hours of design, hard work, and dedication. A project like this can only come together when every aspect of design, printing, cutting, and sewing are all in place. Creating an inflatable replica can be challenging, especially when the item being replicated contains many curves and three-dimensional details. This particular car seat is a newer model that the company Safety 1st was debuting. This high tech baby car seat has many new safety features that could only be found in this newer model, so they wanted a large replica to show it off and educate people on its features. 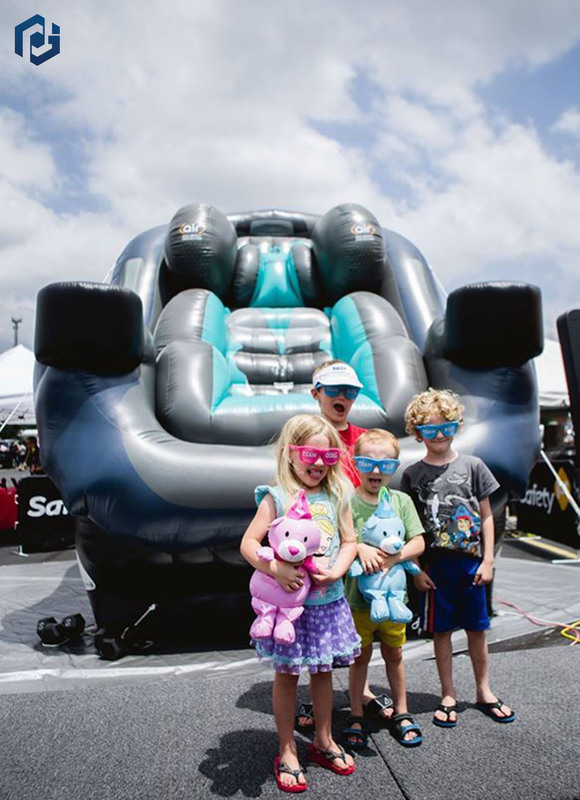 This giant inflatable car seat is just too much fun to miss up. People love big things, especially giant versions of smaller things. There's something about being able to see something at such a large scale that seems to inspire awe. Or maybe it's being really tiny and seeing these smaller things so big it's inspiring? Nah, maybe not. In any case, these giant replicas are sure to get a curious crowd over to you in no time. You can see the inflatable car seat being set up in the video below. This inflatable car seat only comes to life because of its stunning digitally printed detail. All of this detail can only be achieved through advanced digital art creation. Our talented designers spend hours creating the detailed art that you see printed on the inflatable. Only through their sheer experience and talent, are they able to create such stunning and realistic art. Our design team pays special attention to details like shadowing, and lighting in order to achieve maximum realism. Custom inflatable dino, made to last.